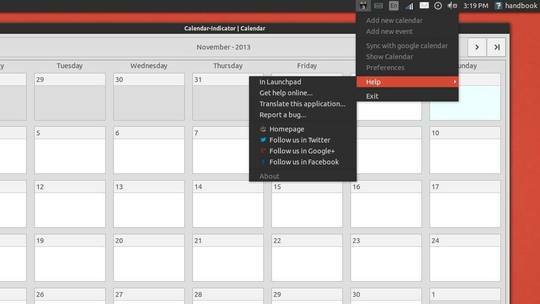 Calendar-indicator is a system tray applet which integrates Google Calendar into Ubuntu Unity Desktop. It allows to quickly add new calendar / event, sync with Google Calendar, and more. The developer has made this app with Ubuntu 13.10 Saucy support, and this tutorail shows you how to install it via PPA repository. Once installed, open calendar-indicator from Unity Dash. Turn on “Allow access to Google Calendar” and authenticate with your Google account. Sorry for the mistake. Post updated! What about the Task indicator for 13.10? After following these steps Calender Indicator will not Open. Help?